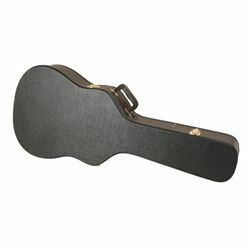 This hardshell guitar case is sized to fit most acoustic-electric guitars, providing protection and transporting ease. Constructed from quality materials, the interior is custom molded and provides full neck support. The interior also features a soft plush lining and an accessories compartment, perfect for picks and capos.